Claire and Hronn invite you to take a soulful dive into your heart, in this beautiful space, Devarya, in Morjim, Goa. 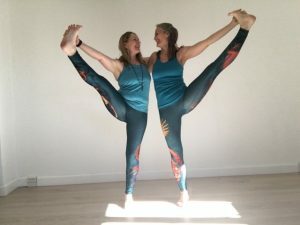 Claire and Hrönn are both very experienced, highly qualified teachers who love to teach a soulful fusion of form and flow, to uplift and inspire, with a focus on heart, breath and alignment. Hrönn and Claire are dedicated to teaching all levels of yoga students, so this is a great opportunity to grow in yoga, whether you are a beginner or an experienced student. Hrönn is Anusara Inspired™ and Rasa Yoga teacher, certified with Yoga Alliance as E-RYT® 500 and YACEP® (Yoga Alliance Continuing Education Provider). She’s been teaching since 2011 and in that time she’s taught more the 6000 hours. She teaches workshops, teacher trainings, festivals and private clients. Furthermore Hrönn is a mentor for other yoga teachers that want to bring their teaching to a new level. Practicing yoga with Hrönn is intense, lots of fun and insightful as she always works with themes in her teaching. The themes invite you to go deep into your practice and cultivate qualities of the heart that support your growth as a human being. Hrönn’s teaching is easy to follow, challenging and motivational at the same time. 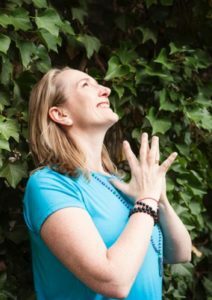 Claire been teaching yoga since 2005, is certified at Yoga Alliance’s RYT-500® level, and YACEP®, a Rasa Yoga teacher, and a qualified Anusara Inspired™ teacher. Claire also runs specialist trainings for qualified yoga teachers. Claire’s highest vision in teaching yoga is to connect with each student at her or his own level, to allow them to connect more deeply with themselves and thereby with the world at large. She loves to tell stories from the mythological traditions which add a richness to practice.